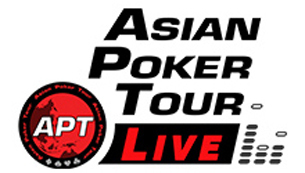 The APT Asian Poker Series Cebu 2015 continued play on Sunday in Day 2 of the Main Event held at the All In Poker Club at the Waterfront Hotel & Casino Lahug in Cebu, Philippines. From the original 160 runners, 70 players qualified for Day 2 and after another eight levels of play, only 25 remain in the running for the APT title and the champion’s purse of PHP 1.824M from the total prize pool of PHP 7.139M. The player with best shot at that prestigious title is Norway’s Henrik Tollefsen as he climbed the leaderboard late in the day and stayed at the top entering Day 3 with nearly half a million in chips. 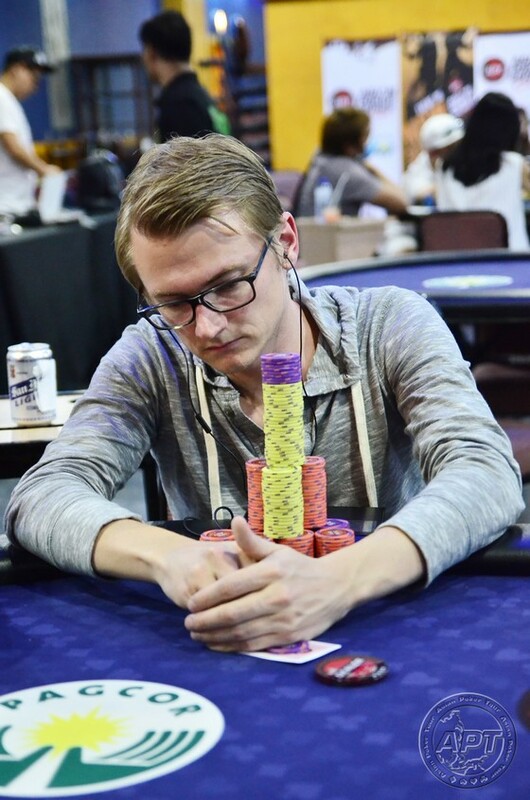 Ten minutes later, Tollefsen was at it again and added more to his already huge stack and reached the 400K-mark. Joining Tollefsen (414,000) as chip leaders are Japan’s Azusa Maeda (266,000) and Iori Yogo (224,000); Korea’s SJ Kim (205,000); and Canada’s Thomas Lee (183,500). With only 18 players paid in this main event, seven more eliminations are needed to burst the ITM bubble; three players have roughly 10 big blinds entering Day 3 with the blinds set at 2000/4000/500 to start the day. Day 3 of the main event starts at 1:00 PM and two more side events are also on tap on Monday; the Monster Stack NLHE (PHP 22,000 buy-in) and WeLoveSport.com Deep Stack Turbo (PHP 5,500) events at 3:00 PM and 6:00 PM, respectively. Check the Event Schedule page for complete details. Adinho888 champions the record-breaking APT Main Event!